Reese's Chocolate Lovers Cups feature a thicker chocolate shell and richer, darker milk chocolate than a regular Reese's Peanut Butter Cup. They're set to arrive in the middle of this month but I got a sample from Reese's to try early. The suggested price for a 1.5-oz pack is $1.11. Compared to the Peanut Butter Lovers Cups, these are less of a change from your run-of-the-mill standard Reese's Peanut Butter Cup. 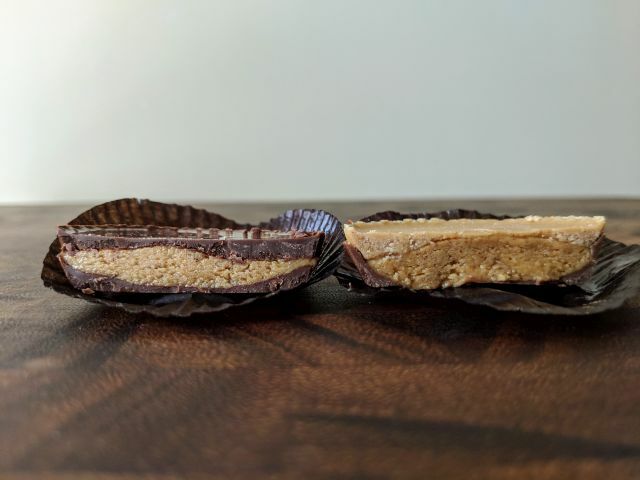 The chocolate shell seems only slightly thicker--mostly on top, which means there's still a similar peanut butter-to-chocolate ratio. The most notable difference is the chocolate itself. 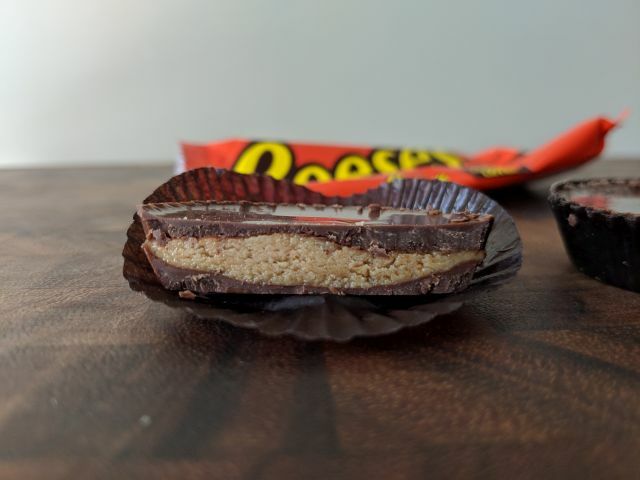 It's slightly more bittersweet and rich than the milk chocolate of a regular Reese's but isn't so dark as a Reese's Dark Peanut Butter Cup. In the spectrum between milk and dark chocolate, it's definitely closer to milk chocolate. 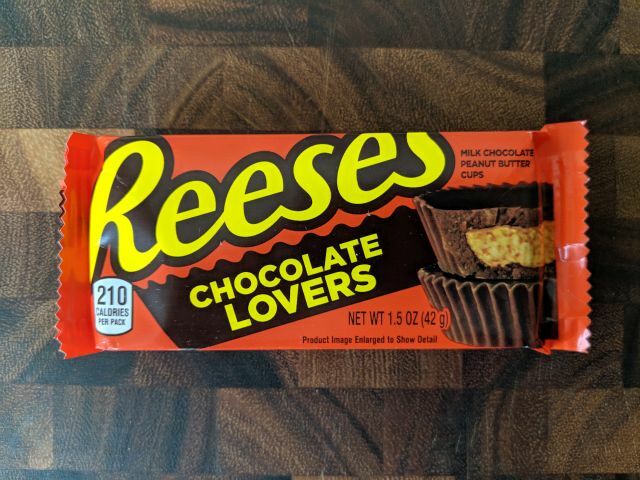 When it comes down to it, I liked Reese's Chocolate Lovers Cups quite a bit and might even find them slightly superior to the original on the account of the slightly darker chocolate. It still goes well with the peanut butter but offers a more nuanced flavor.